Additional Information Grain-finished acoustic baffle with spiral pattern for natural sound dispersion. Slim profile design for flush in-ceiling or in-wall mounting. 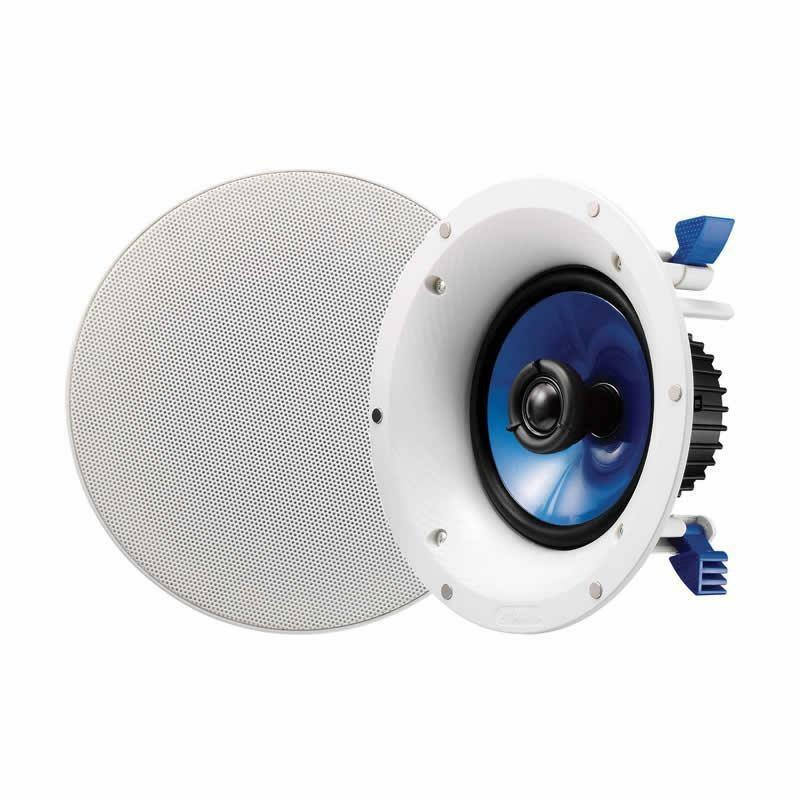 Sealed back cover to protect speaker and crossover from dust and moisture. Paintable grille with magnets for quick and easy installation. Large mounting clamp with non-slip tread for sure grip.